Apparantly, its already 2010 in Australia ( or somewhere a long way away) – and I find it hard to believe a new decade is upon us. Ten years ago I was with a group of friends in the belfry of Sheepy Magna Church in Leicestershire as they rang in the new millenenium – and I rather over did the red wine afterwards – never again! Ten years on….. 2010. I shant be up any belfrys this year, just be quiet at home – I like to be looking out of the window when the new year slips in and listen to the few fireworks that leap about. So, to all paxtonvic readers I do wish you every good thing you hope for in 2010 – and so many thanks for supporting this blog since May. 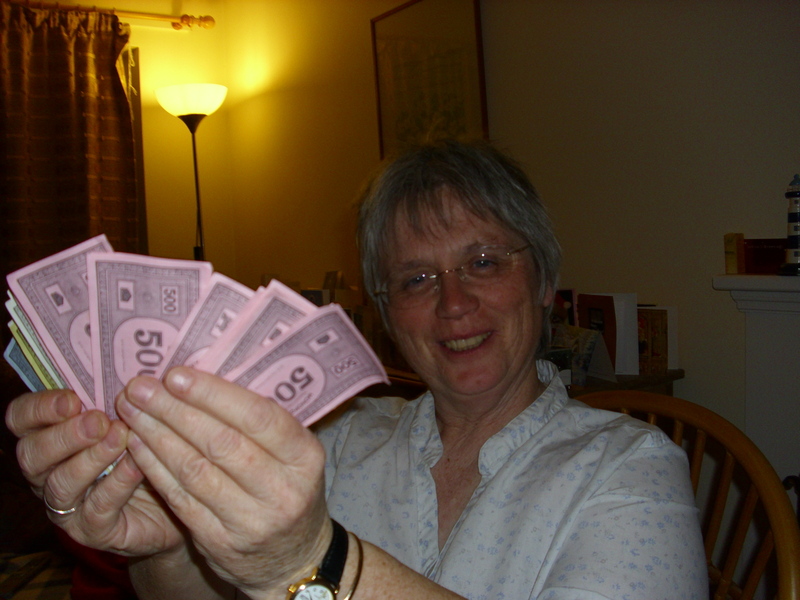 Playing monopoly on Boxing Day takes me back to my childhood in Bournemouth – I loved to play with my grandparents and the names of the streets and stations etc used to fascinate me – I loved to be able to buy a red hotel and have lots of crispy notes. Must have liked property in those days! 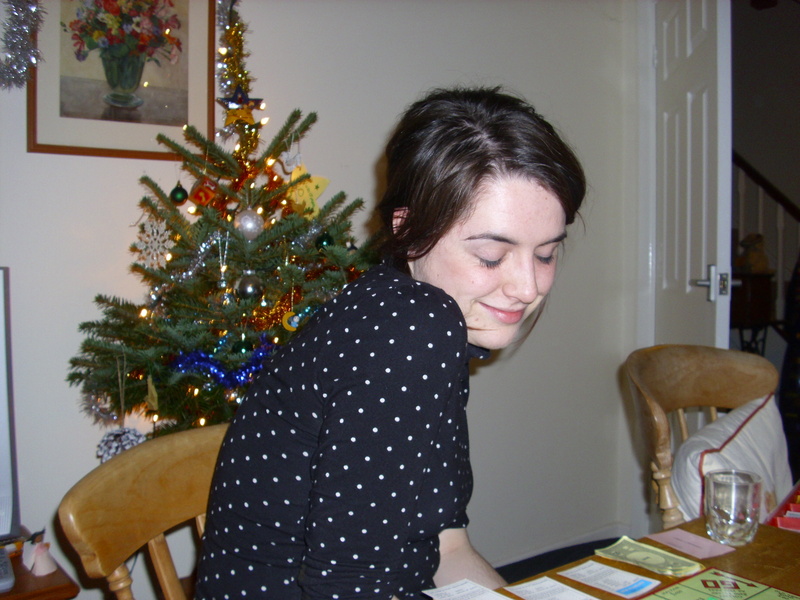 After Mike, Adele and myself went to fetch Mike’s girlfriend Lottie from the wild fens, we came back, saw grandma and then after some food got stuck in with monopoly. Mike played some unwise moves and was broke first. I tended to play rather cautiously whilst Adele and Lottie were quite brazen in their spending…. 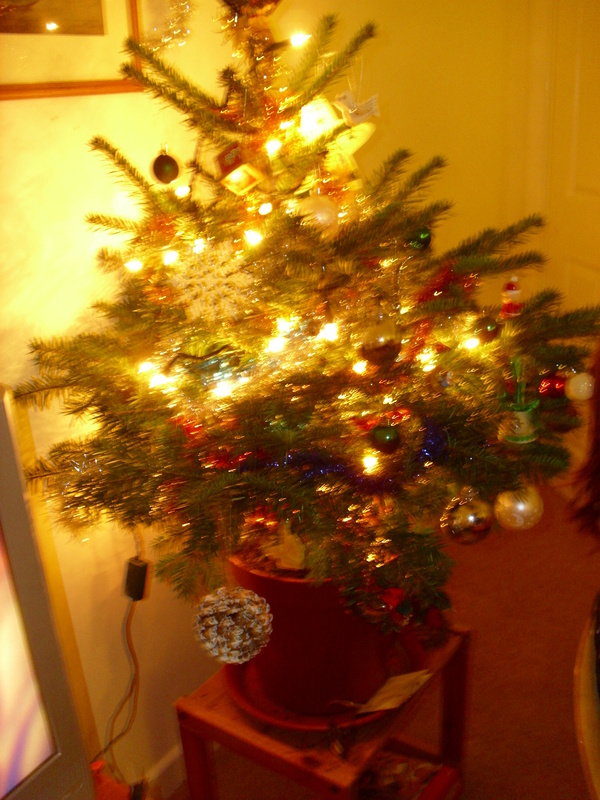 The little tree looking on…. 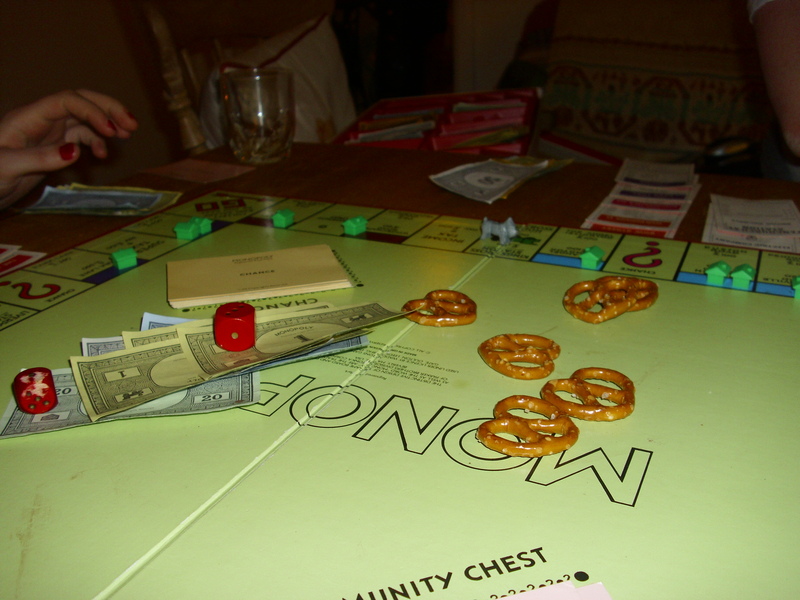 Well, Im afraid I cleaned the board with them all – having dominated the brown and light blues streets for all of the game. Although Lottie held Mayfair with four green houses – I always seemed to miss! 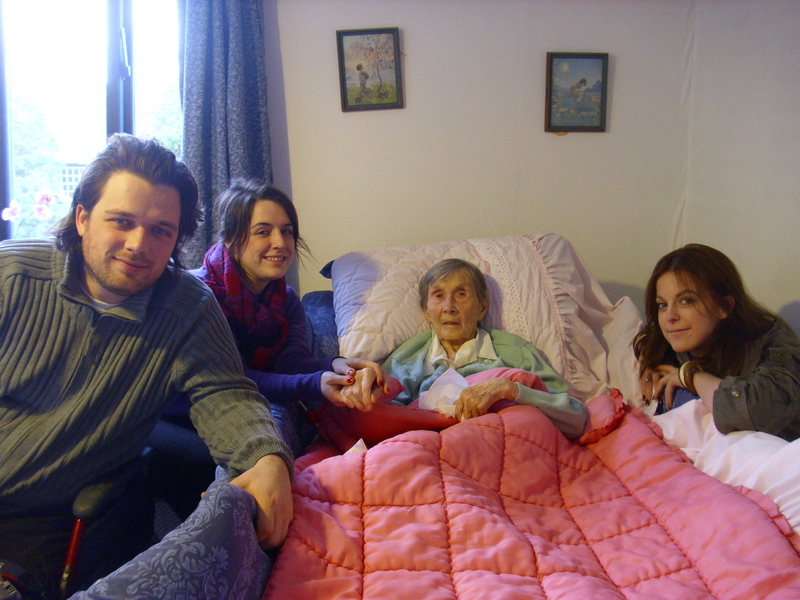 Earlier in the day, we had gone to see grandma in her care home and it was nice to see her eyes open and enjoying some maltesers. It was lovely to have the family together for just a short time – I really missed the kids when they went back to Coventry and London. Hope you have all had a lovely day !!! Great turn out at Great Paxton – very full church at 4pm for the carols round the crib. Im sure things will have gone well at Little Paxton – couldnt be there as cant be in two places at once – so Nick G took the Christingle. Now its 8.15pm at Diddington and then HC at 11.30am at both Paxtons – again thanks to a good team here we can do two services at the same time! Getting a wee bit weary but Im sure I will find that last burst of energy – well, need to keep trotting till tomorrow morning….. these occasions when church is full really do remind me that the Christian faith is still sought out by many and the Christmas message still has great pulling power. Thorugh Jesus Christ Our Lord. My little tree shining away. And finally – a poem which takes me back to school days – I never did get who ” Greasy Joan” was! For neither before three was there any like theee, nor shalt there be after. Here is a little homily in honour of Mary’s ” Yes” to God. It really is amazing, that this young girl, Mary, should respond in such a remarkable way to the appearance of an Angel. This angel claims to be God’s messenger, bringing her news that she will give birth to a child who is the son of God and the inheritor of the throne of David, whose kingdom will last for all eternity. Yet Mary responds in a fashion which probably puts most of us to shame. “May it be to me as you have said.” A simple response of faith. What do we know about this young girl who makes such an incredible response to this momentous declaration given by an angel? What can we say about this young woman who is arguably history’s most venerated mother. Though Mary plays a key role in the birth stories of Matthew and Luke, she is scarcely mentioned in the other two Gospels and not at all in the New Testament letters. During her childhood she lived in Nazareth where she was put into an arranged marriage with the carpenter Joseph. Gospel references begin when she was a little over 12 years old. 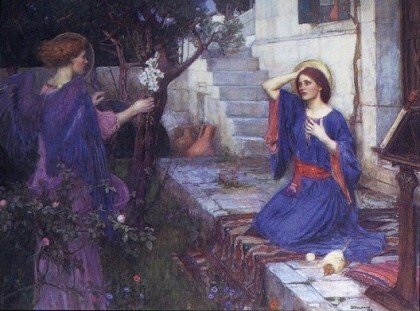 Luke reported that while Mary was living with her parents in Nazareth, not yet fully married to Joseph an angel visited and told her she would give birth to a holy child who would be called “the Son of God.” Being pregnant out of wedlock was dangerous, Mary might even be stoned to death. Christian tradition asserted that Mary was a virgin all of her life. Early church leaders such as Irenaeus and Clement of Alexandria believed Mary remained a virgin, and Athanasius wrote extensively on the “ever virgin” Mary. The Gospel accounts record that Jesus had brothers and sisters, but Roman Catholics, following the lead of many early church leaders, argue they were Jesus’ cousins or Joseph’s children from a previous marriage. Protestants have taught Mary was a virgin only until the birth of Jesus, after which she and Joseph conceived James, Joses, Judas, Simon, and unnamed daughters. Mary may have died not long after Jesus’ death and resurrection. Even if she was very young when she gave birth to Jesus she would have been in her forties, at the youngest, at this stage, which is already very good by ancient life expectancy, especially for a woman who’s given birth. Mary slowly grew in importance to early Christians; at first she was considered the new Eve. By the fourth century, she was given the title “theotokos” the “God bearer,” and was increasingly seen as a compassionate intercessor to whom believers could pray. By the Middle Ages, English historian Eadmer taught that Mary was herself conceived without original sin. This belief, along with that of her “Assumption” (rise to heaven) grew to such an extent in Roman Catholic circles that today they are part of that church’s official doctrine. Today, many people (not just Roman Catholics and Orthodox) claim to experience visions of Mary, and she remains an important object of devotion for millions. As we stand now on the edge of Christmas Day – I hardly think it is of the most vital importance to have a protracted debate about what we call the immaculate conception..
For me the momentous fact is that Mary, the God-bearer, said Yes at all. The fact is, and we tend to forget it – Mary was perplexed by the appearance of the angel – who wouldn’t have been? The Greek word means deeply agitated – she was taken aback, troubled, anxious – all perfectly natural. Not only because an angel had spoken to her – but the message was going to be hard to explain to others. But she says YES “ Let it be to me according to your word” – despite all the angst and confusion. There are many ways to find a spiritual path towards the manger scene these nativity days. Maybe remembering especially Mary’s YES – despite her shock and anxiety and agitation can help us to be always ready to say YES to God – whether our path be easy or one that is full of uncertainty and twists and turns. As we think of Mary saying that powerful and momentous YES to God – it can remind us too of the momentous YES which Jesus said in the garden of Gethsemane 30 years or so later. This Christmas, may our response to God’s calling be a response of faith and obedience. May we worship the newborn Saviour with open hands and open hearts, ready to embrace Him as our Lord and Saviour, ready to accept God’s calling to new possibilities of living in faith and obedience. But a truth that changes our lives day by day as we say YES to you. Clever, isnt it! Real life snow! Been typing away with some ideas for a Christmas sermon – and here are some draft thoughts. 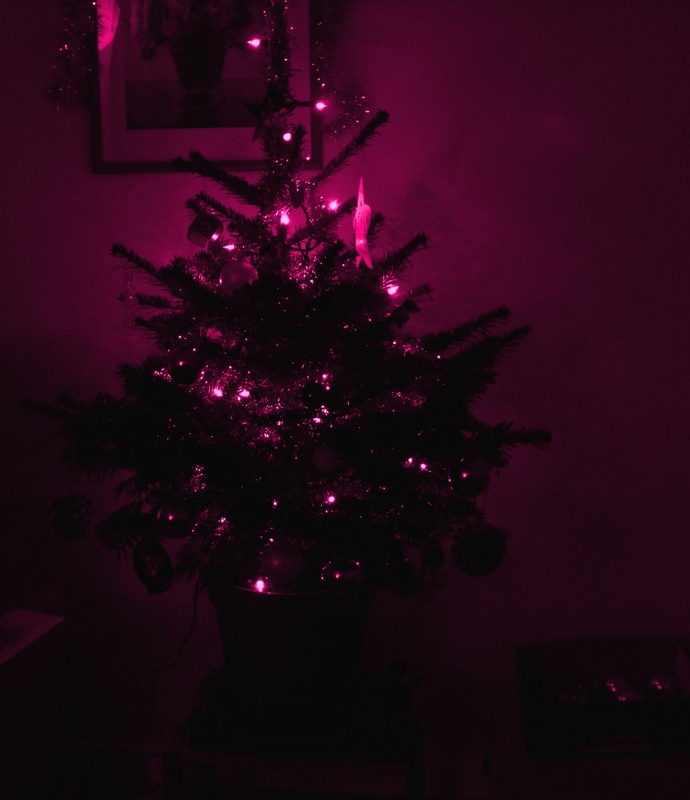 I must admit that if anyone else asks me “are you ready for Chrismas” I may just say…… ” And what would happen if I wasnt?” What quite does it mean to be ready? All the cards written, food bought in, all persons who need to be present, present…. decorations all hung up….. ? I rather think we can never really be readyfor the real gift of Christmas – to welcome Jesus afresh into our lives. Sermon for Christmas Eve – Great Paxton 2009. By the way, apparently, when most houses had real, open fires, parents would help their children post letters up the chimney. They were carried upwards by the draught from below. “ Last year you brought me many nice presents and I think that you were very kind indeed. I expect you would like to know what I should like you to bring me this year. Well, I should like you to bring me a storybook, a postcard album and a box of chocolates. We have a little baby and we would like you to bring her a rattle that will blow. I hope you will remember the very poor children in the slums and large towns. I might stay awake for sometime to see you come in our bedroom to put things in my stocking the night you come. Our house is on the common. With much love, I remain your little friend, Mabel. It’s always rather exciting I think to find something from the past, something which has been hidden for a long time. As some of you will know, when we were excavating the tower base floor in September, we found some intriguing pieces of ancient stone buried so as to form an old floor from which the ringers used to ring. Some of them had been worked and may well have formed part of an older section of the building or maybe were rejects from some stage or other of the ancient minsters’ formation. There’s one big slab at the back with a section cut out – anyone’s guess what that was. For some weeks the stones intrigued us and were even recorded by an archaeology unit. Other mysteries no doubt also lay under the ground here on this site and one day may come to light. It is perhaps inevitable that when major work is done to a church, things come to light that had been hidden by successive generations. There’s huge amount of surprise- and delight of the deepest significance- in the Christmas story. Commercialism may in many respects have captured Christmas and the true meaning of Christ’s birth. In an attempt to be terribly PC, there has been a move also to play down the uniqueness of the celebration of Christ’s birth at Christmas, or at least a wish to highlight the winter festivals of other faiths as well, such as the Hindu festival of Dwali. But there is a great depth of meaning for us to rediscover anew right now in the Christmas Story as we worship together. Surprised? She was terrified “ Greatly troubled” Luke writes– no wonder the angel followed his opening greeting with “ Do not be afraid, Mary” We can only imagine the consternation of her espoused husband to be, Joseph– not to mention her family ( who incidentally don’t get a mention). Matthew tells us that Joseph was so concerned that he was going to divorce Mary quietly but a powerful dream of an angel explaining God’s plan stopped him. The characters in the nativity story given to us by Luke and Matthew (and they don’t both carry the same report) all have their own surprises. Like Mary, they gave their assent to what they had been told- and obeying Gods will in this night of surprises hurried their way to Bethlehem. 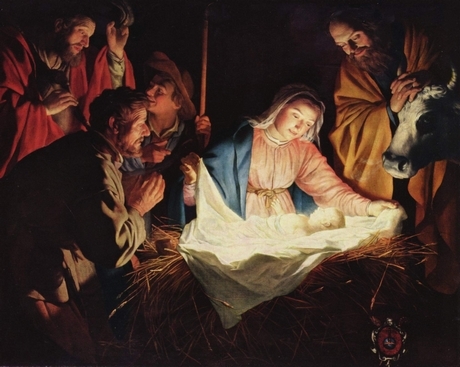 Then what about the stable scene – the place of the birth of the Messiah, the Son of God? The place, indeed, where God came fully to earth to dwell among us – Emmanuel- God with us. The religious authorities of the time could not have conceived of the Messiah being born in a stable, amongst animal smells and the cold of the night. But then, some 33 years later, they could not have conceived of the Messiah being crucified and dying a criminal’s death. God turned all expectations upside down when he came as a helpless baby in that Bethlehem stable, born to poor parents who had come to town for a tax census. God turned all expectations upside down when he allowed himself to be tortured on a cross, made fun of and endure all the worst that human suffering could throw at him. Surprising? Surprising in the extreme. Impossible – some have always said. But maybe God acts in ways that are designed to shock us out of our familiar patterns of thinking and believing and make us encounter Him in a new way. So, the nativity story is full of surprises – as indeed Jesus’ whole life was to present people with a series of surprises and challenges. This came to a climax with his crucifixion and resurrection. Unbelievable, just as unbelievable as God coming to earth as a tiny baby. Yet generations of Christians have believed God works with the unbelievable. Faith must take risks and trust in what seems impossible. If you and I look back over this last year, I expect we shall all reflect on surprises that have come our way – some good and some more hard to cope with. Maybe you have encountered changes and surprises in your personal lives which have left you perhaps struggling at times and rejoicing at others. I am convinced that part of the great mystery of God at work in the world, is his seeking to touch our lives if we sincerely and genuinely ask him for his guidance and direction. His love for us can take many guises and can surprise us in unexpected ways. In turn he asks for our willingness to serve him and share the love he gives to us with others who perhaps find Gods reality distant and hard to grasp. So here is one “take” on the Christmas message. That God is a God of surprises. He takes the form of a helpless baby. He dies on a cross. He immerses himself in all the business of the world, all the creativity and love, but also all the hatred, all the pain- and pain can be a terrible thing- all the mess and all the deep injustice. All the bewilderment which follows natural disasters and the outworkingsof human evil. He says in his coming: be ready to be surprised, there is always hope, always forgiveness, there always will be resurrection no matter how many nails have been hammered into you and no matter how deep the waves of desperation may be in a human soul or in the heart of a community. May we all pray that the God of Surprises will be born anew in our hearts this Christmas time, that we may be just as surprised and filled with joy and love as all those visitors to the stable were 2000 years ago. May we feel inspired with the simple sentiments of little Mabel Higgs all those years ago to ask not Santa but our Father God to draw close to those suffering in a world tonight which can in turn seem so beautiful but also so full of pain. May the hope, joy and peace Christ carry forward into our lives as we journey on into a New Year. Amen. A couple of weeks ago, I had some blood tests done. they are all fine – even my cholesterol level is down – maybe the Benecol ( not getting paid to say that!) or maybe a few less chocolates. I am well and truly memopausal ( knew that anyway) but am very grtaeful that, as far as I know, Im quite well. So at this time of year, I am very mindul of the people I know who arent well, are living with everyday illness and dont know what the future holds. People who are ill- and their relatives – often say that when illnes strikes, they dont know how they got through it. The human spirit seems to have remarkable resiliance and the bravery of people I meet often astounds me. Some years ago I was diagnosed with what seemed a life threatening condition and at the time I went into overdrive – carrying on with taking services and indeed starting up a new project in one of my churches. Thankfully the diagnosis was all wrong and the alarm need not have been raised – although i was left wondering how such a mistake had been made. The truth is that medicine is not a precise science and mistakes can be made. It did make me grateful for each day – and that somehow when disaster strikes, we do carry on. I think when I say to someone ” I know how you feel – a bit” I do mean it – though we can never really know what someone is going through. To anyone reading this who is living with illness – you have my complete respect and admiration – and I pray that Christmas may bring much love and kindness into your days. There is something very beautiful about the sun setting late on a winter’s afternoon. The shades of red and pink in the sky are lovely. 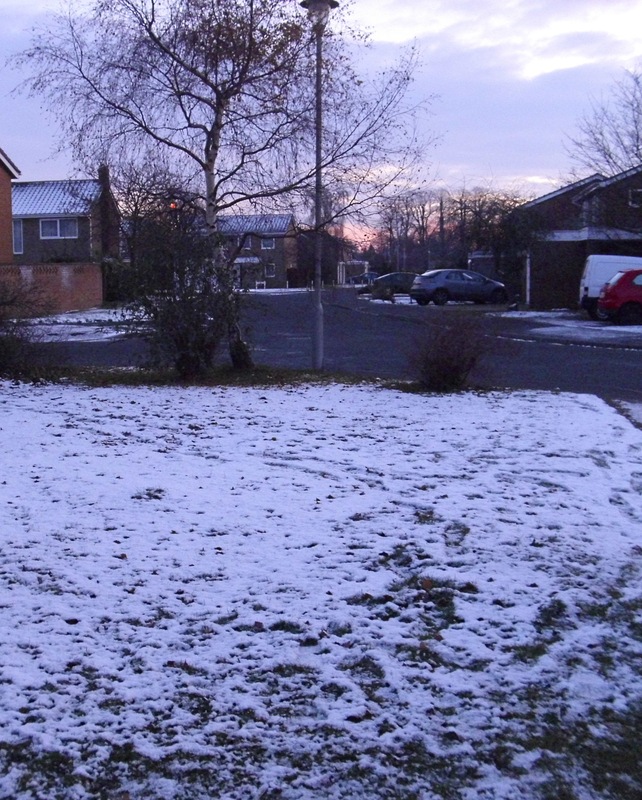 Its been very cold throughout the day in St neots but sunshine and a blue sky has been cheering. now as the sun is set, its time to batton the hatches – even if you havent got any! I bought a little Christmas Tree today. 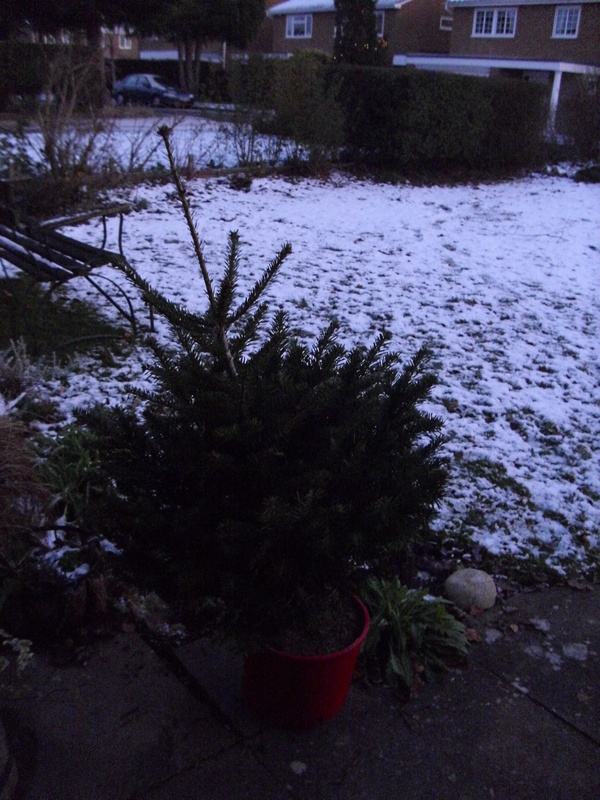 Having got it home, it seems rather small and puny – and needs repotting as it has a definate droop. It says on the label that it doesnt do needle drop – that would be a first…. but I have high hopes for it, small it may be but it shall be tastefully adorned and look very pretty soon in the firelight. I am often grateful to the : http://www.thisischurch.com/ website for some ideas for sermons. It is based on the church at Putnoe Heights near Bedford in the UK and has very useful worship resources on each week. I wonder what your favourite carol is? I’ve certainly been singing a few fair since Advent Sunday, and one of the most popular seems to be O Little Town of Bethlehem. You may not know that it was written by an American Priest – Phillips Brooks (1835-1893), an Episcopal priest, Rector of the Church of the Holy Trinity, Philadelphia. He was inspired when he was visiting the little town of Bethlehem in 1865. Three years later, he wrote the poem for his church and his organist, Lewis Redner, added the music. Redner’s tune, simply titled “St. Louis”, is the tune used most often for this carol in the United States. 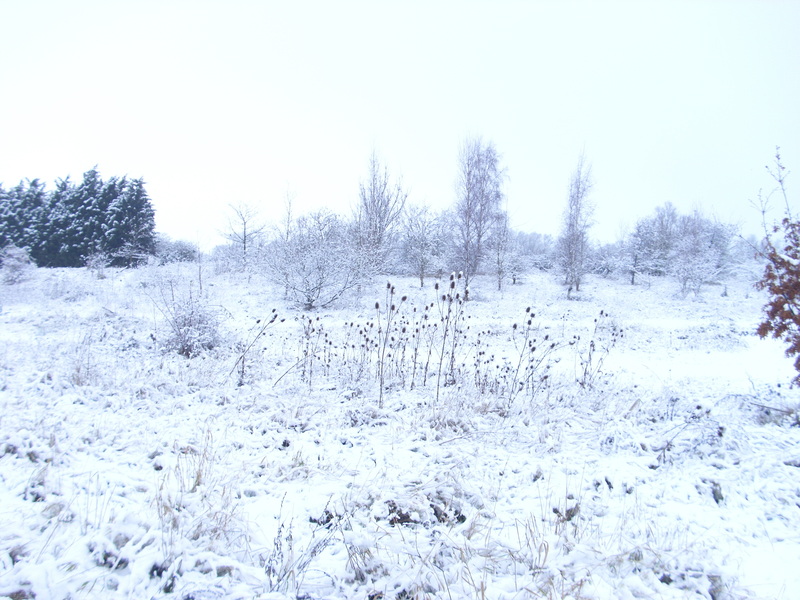 Meanwhile, the English tune “Forest Green”, adapted by Ralph Vaughan Williams, is the tune most often used for this carol in the United Kingdom and sometimes in the U.S. as well, especially in the Episcopal Church. There is one other setting to the tune called “ Christmas Carol” by Henry Walford Davies – in our hymn book – but we don’t sing it very often. O Little Town isn’t the only carol to portray Jesus being born in a Bethlehem which is rather ethereal, still and peaceful. “ Above thy deep and dreamless sleep the silent starts go by” The reality was that even on the night of Jesus’ birth Bethlehem was full of travellers come to register for the census and it might well have not been all that quiet and peaceful as people jostled to find accommodation as the Bread and Breakfast facilities were stretched to the limit. 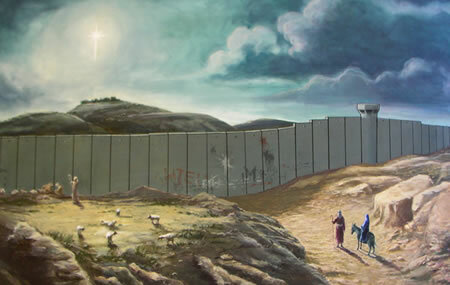 Today of course those living in Bethlehem are under military siege and for a considerable time the town has been surrounded by a three-metre-high fence of razor wire and concrete. I have a Christmas card, produced by the “ Amos Trust” showing what it is like. The land of the birth of our Saviour will not echo to angelic songs this Christmas, but rather the continuing sounds of violence. Jesus came to bring peace and reconciliation yet the Christians and Muslims and Jews who share that land seem so filled with bitterness that they are willing to live in communities torn apart by murder and often claim God’s blessing in so doing. When he declared that Islam was as a religion of peace, some Christian leaders in the USA were so inflamed that they could barely contain their hatred. When religious leaders behave like this, is it any wonder that we find it so difficult to bring about peace on earth? So, in the midst of division, hatred and anger, we need even more this year to hear the song of Mary, the message of the Magnificat. In the midst of a very unfortunate pregnancy for Mary, she was able to express her faith that God was working with people who would trust him. Mary was not overwhelmed by the difficulties which surrounded her, rather she felt able to face the future with confidence and excitement. This was not blind optimism, just a conviction that since God was active in the world, despair could not overcome hope. No more than darkness, no matter how intense is able to extinguish the flame of a single candle. Hope is the one thing in which we Christians are rich and that hope shows its real integrity when the darkness seems to be at its worst. We can all have hope and optimism when things are going well, but real hope is what keeps us singing carols when we know just how troubled the world really is. Mary sang out her song of joy, not because she thought that God was going to stop bad things from happening, indeed the coming months would see the birth of her son bring about the deaths of other innocent children. Mary sang because she knew that God was love and that God loved so much that his promises would triumph and could be believed. It was because of this love of God, in spite of human sin, that there was a future and faith and trust in God would be rewarded. Greetings to everyone who finds ” Paxtonvic” blog. 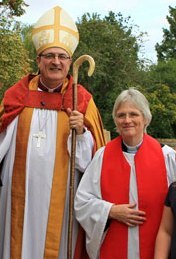 Paxtonvic is The Revd Canon Annette Reed, Vicar of Little and Great Paxton with Diddington and since February 2014 minister-in-charge of Southoe in Cambridgeshire near to St Neot’s. I have also been Rural Dean of St Neots since 2007. 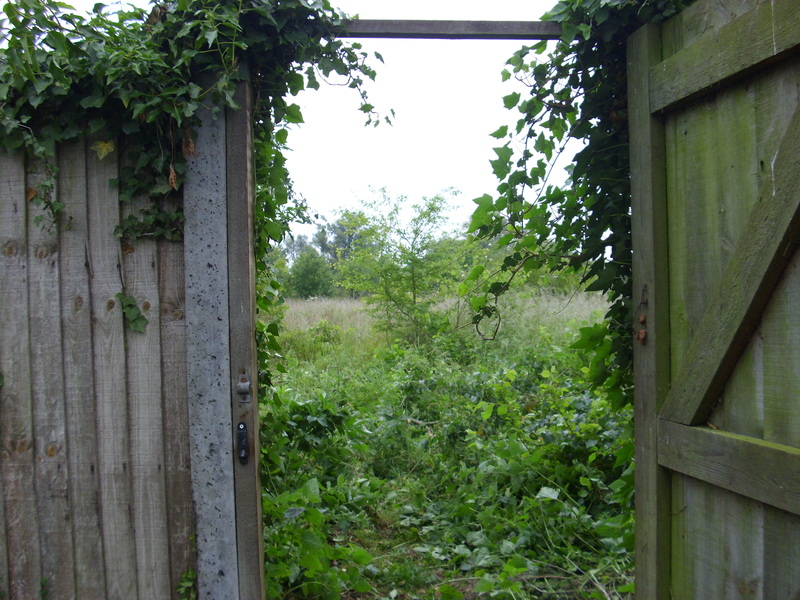 Do come in and explore Paxtonvic. You will find information about church and village life of Little Paxton, Great Paxton, Diddington and Southoe as well as St Neots and the surrounding villages. If you feel moved to do so, please leave a comment. Its easy to do that – just click on ” comment” at the bottom of each entry and a little box comes up which you can type in. I was born Annette Richings in Tuckton Nursing Home near to Bournemouth in July 1954. Building had connections in past years with Leo Tolstoy and his secret printing press and I am grateful to recent contributors who have sent me more information about this interesting piece of history. Some of my earliest memories are of being on Boscombe sands, playing in the waves and pulling on the penny fruit machines with my Grandad Will Trimby helping me. We moved to Portsmouth when I was 9 years old and here is me at Portsmouth Grammar School c 12yrs old. In 1966 we moved to Oxford and it was there that I fell in love with the Church of England as we lived in Christ Church College where my father was a lodge porter. I used to go to Oxford Cathedral most days for Evensong sung by the Cathedral Choir and developened a deep love for english choral music and the gentle spirituality of the regular offices. I also used to sing as a teenager at St Mary Magdalene Church in Oxford City, a church with a distinct high church tradition which also infomed my explorations of the Christian faith. If I had to define my ” churchmanship” ( always seemed a strange word to me) I would say I am a Liberal Anglican who appreciates both the best of Ango-catholic tradtions and the passion and conviction of Evangelicals. I trained for Church of England Ministry at The Queens College in Birmingham and was deaconed in Coventry Cathedral in 1987. Priesting followed in 2004. I served as curate at Clifton-upon-Dunsmore near to Rugby and later at Walsgrave parish, both in Coventry Diocese. After three years in Hinckley, Leicestershire, I had eight wonderful years as Team Vicar in the Bosworth and Sheepy Benefice, looking after the Sheepy Group of five churches. In 2006 I moved to The Paxtons and became Rural Dean of St Neots in 2007. I was honoured to be made a Canon of Ely Cathedral in May 2014. I love all the contact we have with young families and children and one of events I most enjoy is the Tots and Carer’s group at Little Paxton every Wednesday morning and being part of Great Paxton School as a governor and taking assemblies there. I delight in welcoming people into our church commuities who ever and however they are. I am pleased when people enjoy coming to worship of any kind, but am equally at home out about and getting involved in village life. I am passionate about church buildings – both in respect of their architecture and also in regards as to how they may be adapted/re-ordered to serve their communities better. I like to think of myself as a bit of a local historian and run two history groups in the Paxtons. I love plants and tending the vicarage garden. 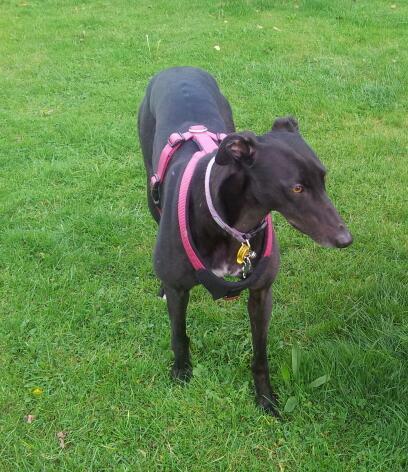 I have a rescue greyhound called Polly who lives with me and often look after my son’s lurcher dog called Charlie. I have two children, Mike who is a teacher locally and Adele a student in Coventry. Please be assured I NEVER name drop in this blog or make out I’m anything special.. hate that sort of thing…. See – I didnt always have grey hair!! Below: I am not amused! 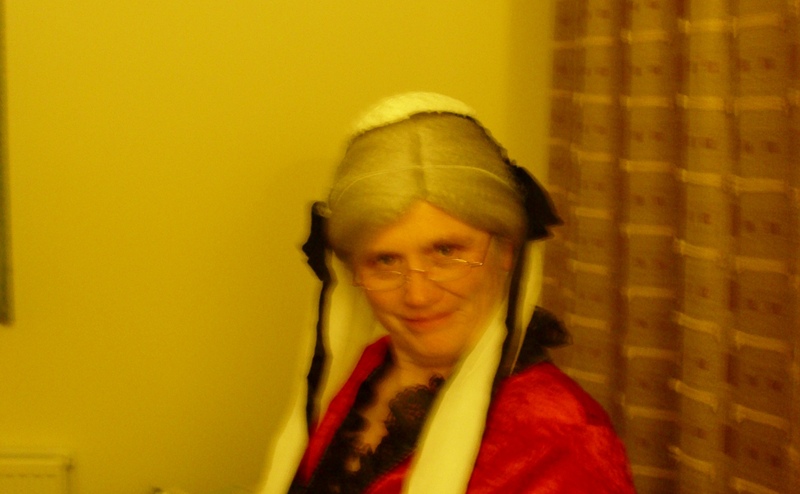 I have been known to dress up as Queen Victoria.